This topic contains 13 replies, has 1 voice, and was last updated by Billy 4 years ago. 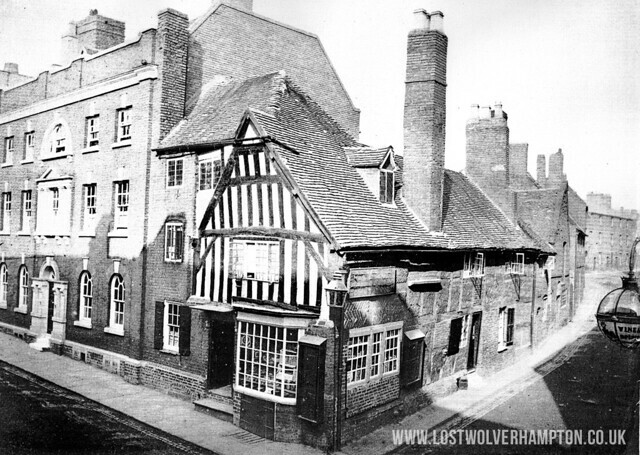 Does anyone know where york house high street wolverhampton was please my grandfather had a business there called Thomas Edwards and Sons, Drapers, General Furnishers, etc., and Undertakers, York House, 1, 2, 3, and 4 High Street. 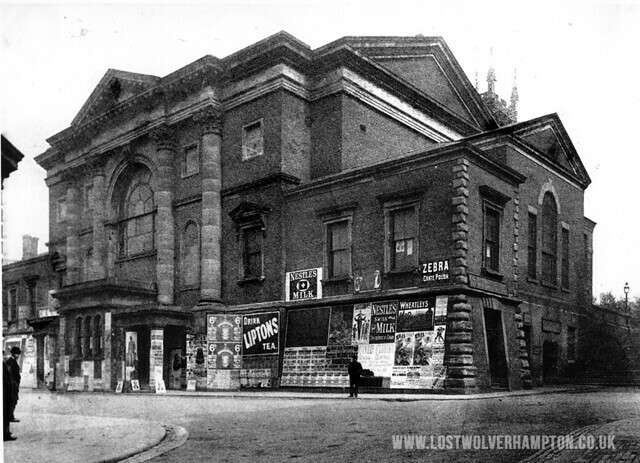 In nineteenth century Wolverhampton, High Street covered both sides of what became the extended Dudley Street, from High Green (Queen Square) to King Street and St John’s Street. 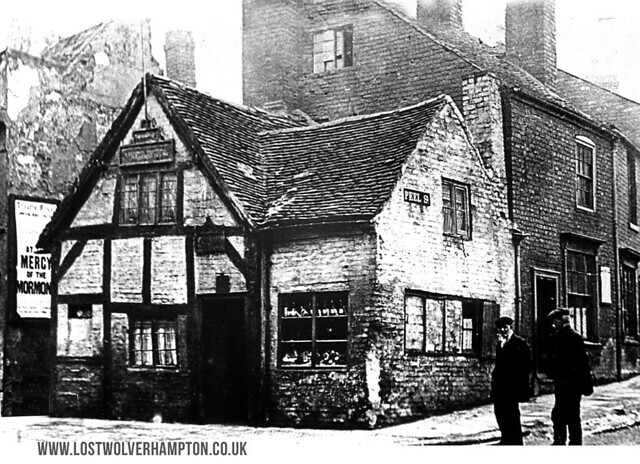 In 1870 (possibly when this block was rebuilt) William York a Boot Manufactorer had his business there. ( York House). 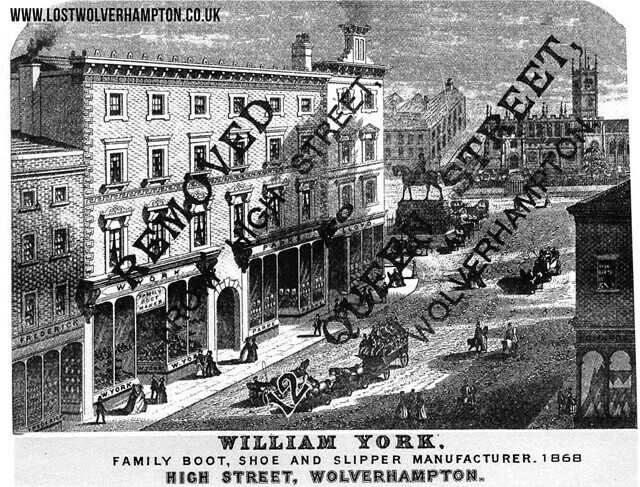 in 1879 William York as seen on his Advert above has re-located to 12 Queen Street. In the Kelly’s Directory of 1892 and again in the Directory of 1905 listed here at 1 2 3 & 4 High Street. are Thomas Edwardes & Sons Silk Merchants, Drapers, Funeral Furnishers etc…. The address again York House – 1 2 3 & 4 Dudley Street. I was so sorry to hear today another of our famous shops of yesteryear has closed for good. 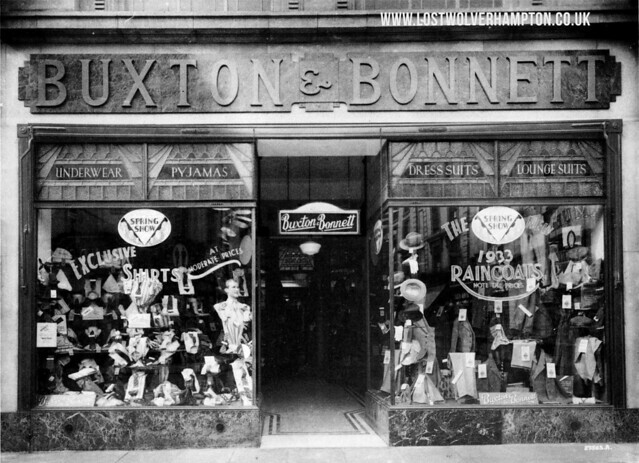 Buxton & Bonnett – Had been trading in Dudley Street and later Victoria Street, for 40 years or more before I bought my first made to measure Gaberdine suit from there in 1953. Many old Wulfrunians will have memories of a visit to Buxton & Bonnett, here in Dudley Street did you. David Greenway Posted a picture on his facebook group. 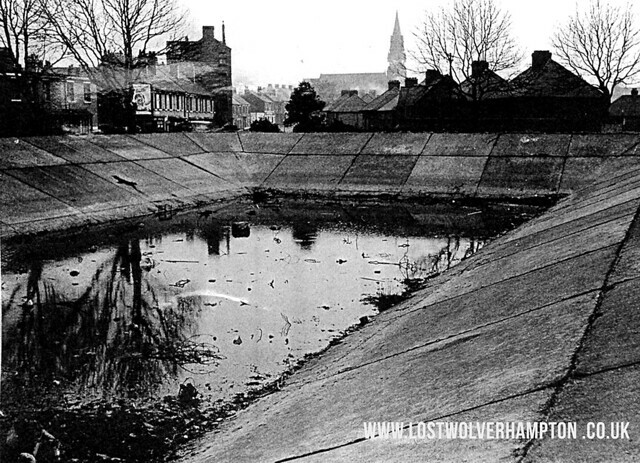 Wolverhampton surrounding areas chat and nostalgia. 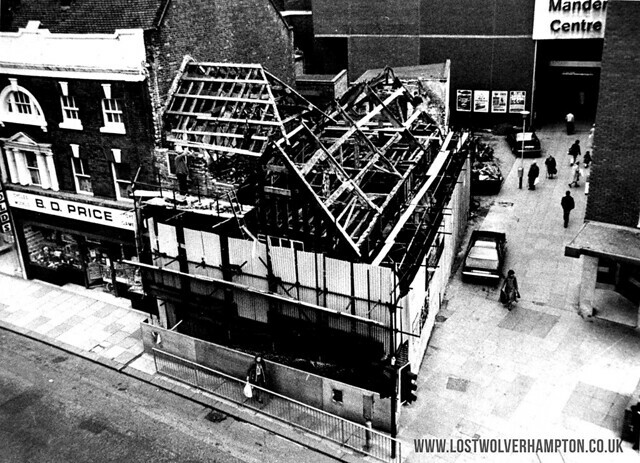 This was the Exchange Hall – looking from Cheapside toward Exchange Street, named after this building which was erected in 1851 at a cost of £15,000. To the the left of the hall stood the original St Peter’s Schools, built in 1847, on what was then Craddocks Walk. From its position it completly blocked the the veiw of West front of St Peter’s Church. Built just two years before the Retail Market was built alongside it. There are many stories regarding this old hall besides Charles Dickens holding many of his lectures at the Exchange, there where other occasions not so favourable. In one instance part of the balcony collapsed during the 15th round of a boxing match on August 17th 1896. luckly no one was badly injured. The OldExchange Hall , any Idea what it was used for Billy ? Cheers mate . John to answer your querie regarding the Ironmasters’ Exchange as it was known. 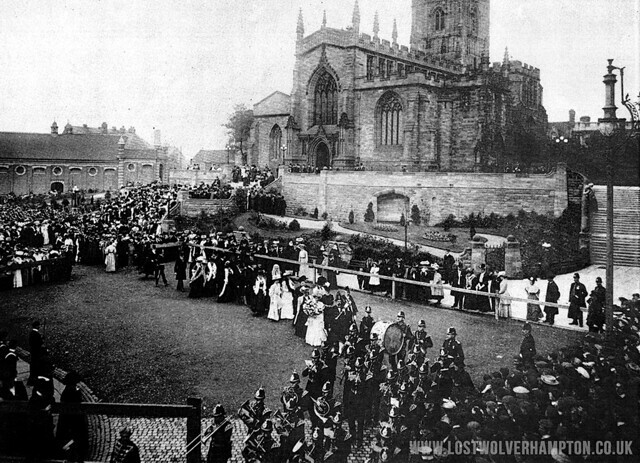 The Exchange stood at the end of Exchange Street (which may have been cut through to provide access to it), immediately in front of the west front of St. Peter’s, where the gardens, war memorial and statute of Lady Wulfruna now stand. Nobody has a good word to say for this building. John Roper, in “Wolverhampton as it Was”, Vol. 1., calls it a “Victorian white elephant. Originally intended simply as a Corn Exchange for the use of farmers and millers” , and at least in part, for the ironmasters to conduct their business in. but the ironmasters certainly didn’t like it. Dickens was not the only performer who used the building. Many visiting artists did so and many plays and concerts were put on. Probably the owners in later years were letting it out for whatever use they could find. Anyway, nobody seems to have objected to its demolition and its disappearance certainly opened up the front of St Peters Church and Gardens. The “Old Barrell” Inn was timber -framed house, where as far back as the sixteenth century, stood on the corner of Bell Street, and Victoria Street. Its a strong possibility that this open stream of running water, which came from Snow hill, and crossed the road here at Boblake, saved the “Old Barrel” from the disastrous fire, that destroyed 104 houses and businesses around Salop or Barn Street, in the Spring of 1590. Just to get any feeling of the longevity of the “Old barrel Inn”. and the changes to circumstances it was witness too. You must visualise this old Inn as the popular alehouse it was in Boblake at the time of Sir Francis Drake and the Armada, and yet still providing mild and bitter, (albeit in a different guise) at this same spot on the corner of Bell street and Victoria street, at the time of the Suez crisis in 1956. It is easy for younger Wulfrunians to mistake pictures of “The Old Barrell Inn” and the former “Hand Inn”,(Copper Kettle) and of course (Lindy Lou). Because as you see, they are very similar in appearance and age, and also used to stand quite close to one and other in what became Victoria Street. Victoria Street-John Street corner in 1872.The timber framed house, dating probably from about the time Thomas Cromwell and Henry VIII were suppressing the Monasteries. 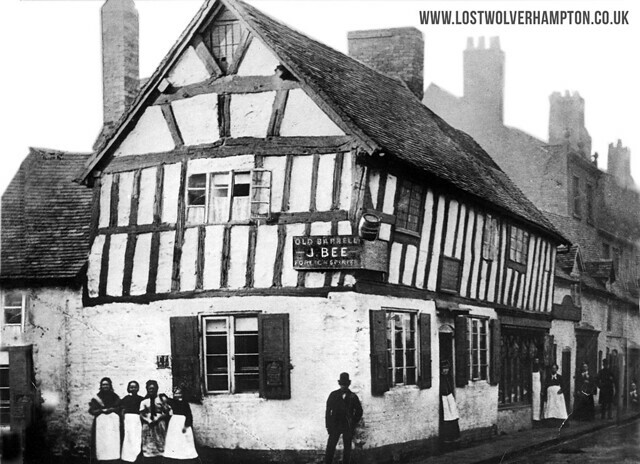 It was known as “The Hand Inn” as early as 1609. The very fine brick house to the left, was once occupied by the surgeon, Walter Stubbs in 1770. We had many of these late 18th century houses in town at one time, although this one has been partly saved today, its lovely facade has now been sadly mutilated. You can see what I mean about the mutilation of the old building, when you look at the facade of the house next door on this similar scene from 1979-80, when Lindy Lou was going through (some over the top) restoration. Notice the front then contained the business of Yarnolds, drapers and Dan Price bicycle dealer. For David on Wolverhampton and Surrounding Areas. The Old House In Barn Street. On Isaac Taylor’s map of Wolverhampton, made in 1750. these premises seem to lie between Barn St (later Salop St) and “Brickkhill Lane (later Brickkiln Street). As the timber frame shows they date from the 17th century adjoining them on either side are houses built in the early 19th century . The large derelict building on the opposite side of Peel Street was after the first world war cleared and became Samuel Westwoods Coal yard. Who’s Grandaughter Kate Hartland-Westwood is a member of this group. The area behind the old house known as Brickkiln Croft, was cleared a decade later. I can still recall in the early 1950’s nipping across Victoria Street in the interval from The Central Dance Studio, for a quick half here at The Old Barrell. Any photos of houses at bottom end of Upper Villers Street? – There was a sweetshop on the corner & a factory behind. My dad’s family lived thereabouts but can’t recall the number. We need to be looking for photos from just above The old “Villiers Arms” and Fowler Street, I have the Rowley family, living at No.30, Upper Villiers Street. in the 1950’s. This photo Looking from Drayton Street to Mason Street, would have interested your Dad, who probably attended Graisley School and may have recalled the large water tank that was placed on the Recreation ground in front of the school during the war. I shall have a look through my collection for further pictures of Villiers Street and perhaps other items of interest. I remember the reservoir very well as a child. My dad was named George Dunn. He went to St Marys & Johns on Snow Hill.There were 5 children at the house & in the fifties it was shared by the 2 daughters & husbands. I think it was compulsorily purchased in the early 60 s at which point one family were moved to a small terrace near the shop & the other was rehoused in Heath Town flats. The house was on the left hand side coming down the hill next but one to a turning to a small modern factory. On the next corner was the sweet shop. There was a family named Dunn at No. 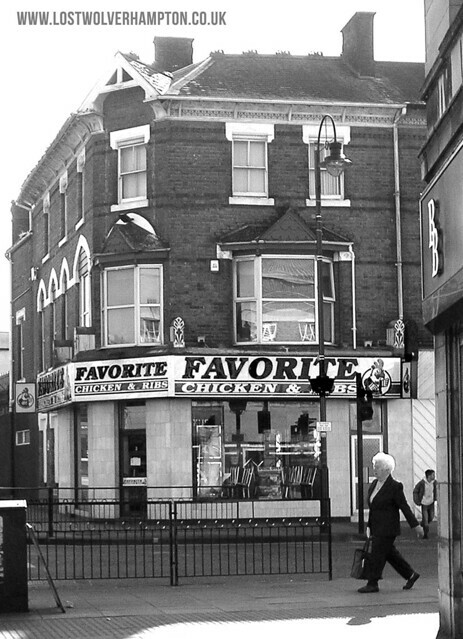 118, The little block in between Cyprus Street and Chetwynd Road,the shop was possibly on the corner of one of those streets Do you recall the Old Windmill in your younger days.